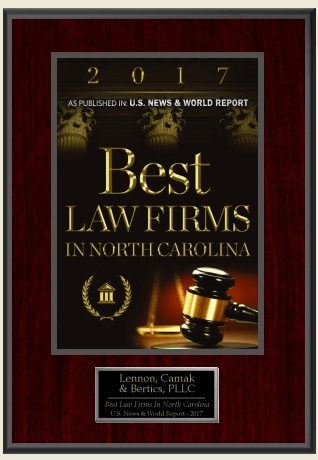 Lennon, Camak & Bertics is fortunate to belong to several prestigious organizations in the legal industry. Each organization represents the highest quality in social security and workers compensation law. We continuously strive to exceed the legal and ethical standards set by these organizations to embody the very best representation for our clients. 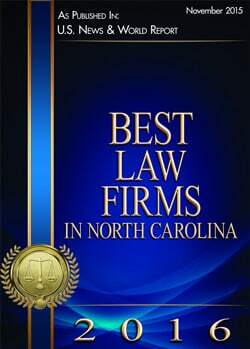 Lennon Camak & Bertics Attorney’s at Law have also received a number of awards recognizing the best lawyers and firms in the legal industry, particularly social security and workers compensation law. We are proud to hold these titles and receive recognition of our work from our industry peers. This publication is one of the largest peer-rated databases in the state. Placement on this list validates a firm’s expertise, integrity and client service. This is the highest possible rating for ability and ethics standards in the legal profession. Law firms with this distinction are among the most reputable in the world. The American Registry recognizes the best of the best in every industry across the country. Based on peer reviews, customer feedback and thorough industry analyses, this database acknowledges the best professionals nationwide. Made up of more than 20,000 lawyers across NC, the NCBA represents the heartbeat of the legal profession in the state. Membership in the NCBA spells character and integrity in a legal practice. This organization helps Social Security claimants locate the best, most relevant social security lawyers for their specific claim in minutes! Membership shows a firm-wide commitment to helping those in need without doubt or hesitation. To be Peer Review Rated by Martindale-Hubble signifies tacit approval from lawyers that you have integrity, skill and determination. This publication is one of the largest peer-rated databases in the nation. Placement on this list validates a firm’s expertise, integrity and client service. The NCAJ has worked to protect individual rights in NC for over half a century! To be among the 3,500 NCAJ members is to stand alongside those disenfranchised persons in the fight for justice in the home, in the workplace and in the real world.